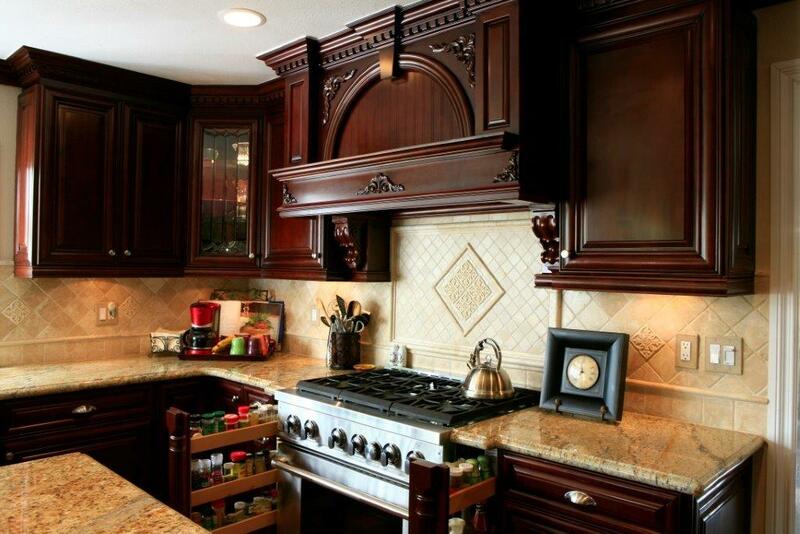 With all the choices you have to make during your kitchen cabinet remodel, you might think that choosing your kitchen cabinet hardware would be an easy decision. No so fast! Once you start looking at all the knob and handle choices, you’ll quickly realize that there are so many available, you really can’t even see them all. Knowing that your kitchen cabinet hardware choice is going to have a big impact on your kitchen, doesn’t make picking any easier. You’re going to be using these knobs and pulls every single day. It’s important to make the right selection on a feature with such an effect on your kitchen. Choosing for resale value, in which case you’ll want to consider the top selling cabinet hardware finishes today: satin nickel, chrome and bronze. Modern and streamlined, bar pulls have long, thin, metal handles. They are sturdy and work well with a variety of styles of cabinets, but especially on modern styles. Metal finishes are most popular but beware that shiny finishes will show scratches easier. Some designers feel that elderly family members have an easier time with long bar pulls. 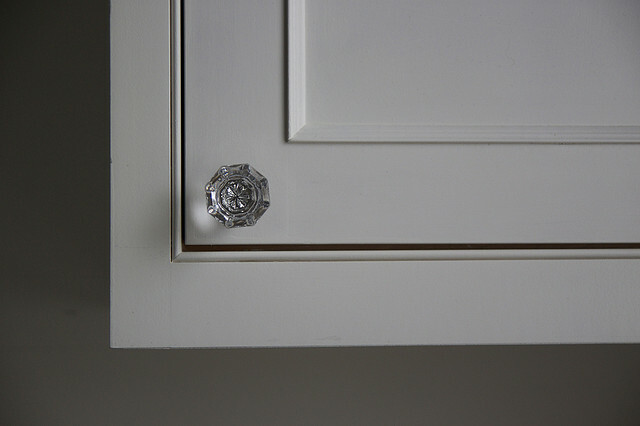 Cup pulls are a popular choice for vintage and traditional kitchen cabinets. They also work well with Shaker style kitchens and their simple lines. Also known as Bin Pulls, they come in a variety of colors and sizes. Preferred for their simplicity, they are easy to clean and work really well if you have heavy drawers. Sash pulls are reminiscent of antique window sash fittings. Sash pulls lend an arts and crafts feel and give a homey feel to your kitchen style. If you like a country kitchen you should consider them. If you’re a little artsy then novelty knobs may be just what you’re looking for. 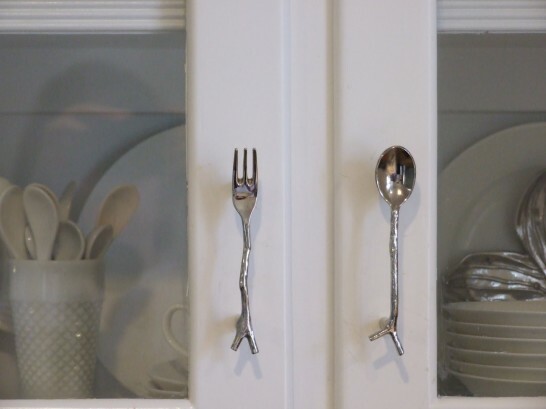 If you have a kitchen with a theme, or just want to perk up a rather blah design, novelty cabinet hardware is just the way to do it. Let your personality shine through and bring some drama to your kitchen. Novelty knobs work best on plain cabinets so the knob gets the attention. If you’re looking for something unique, but novelty knobs weren’t really for you, glass knobs can give a bit of a flashy look at an affordable price. While originally popular during The Depression, these new knobs are less expensive than many other cabinet hardware options. 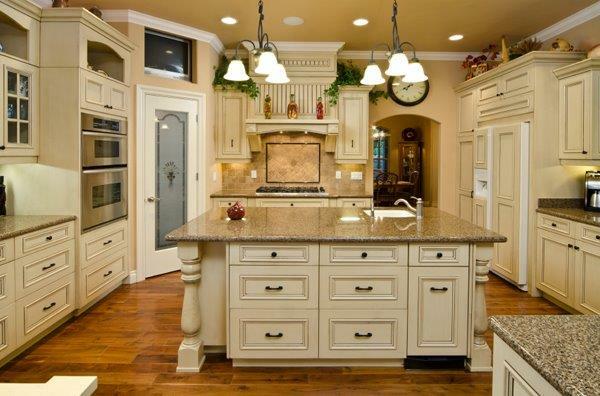 Give your kitchen a little sparkle, but beware that some of the more intricate designs can be hard to clean. Are they like earrings for your kitchen cabinets? Drop pulls with dangling handles work well on Craftsman style cabinets. Drop pulls can make your cabinets look more like furniture. 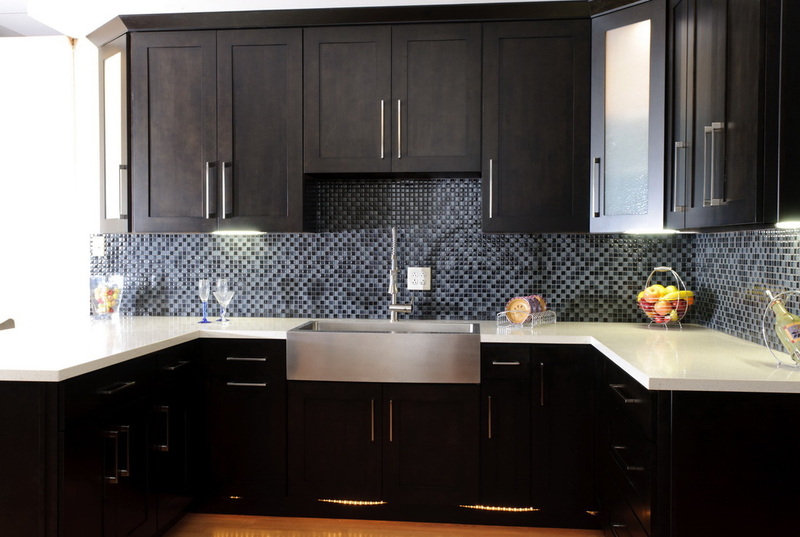 Drop pulls can also work well on modern cabinets if you go for a shiny metallic finish. Some people find them difficult to open.